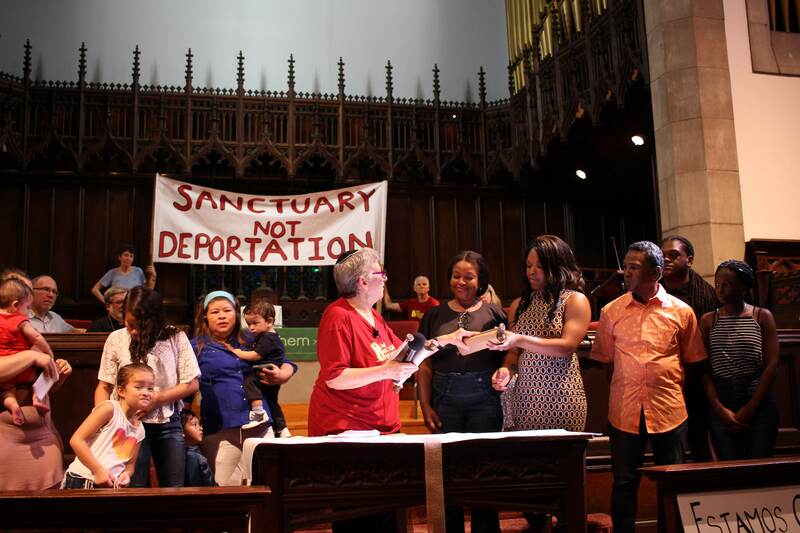 WHY Community organizations and City Council members call for an end to compliance with non-mandatory ICE holds from federal deportation agents to local law enforcement. We demand that the Mayor’s office work transparently with community organizations in drafting new policy. Current cooperation with ICE holds results in deportation, unjust family separation and traumatization, violation of due process, and increased racial profiling in Philadelphia. Philadelphia—On Thursday, February 13, community organizations and City Council members hold a press conference to call for an immediate end to ICE holds and for the Nutter administration to work with community groups to create new local immigration policy. ICE holds are non-mandatory requests from the federal deportation office to local Philadelphia law enforcement to hold someone who should otherwise be released. Holds are issued solely because of immigration status, are not criminal warrants, and are not reviewed by a judge before they are issued. This violates due process and human rights, traumatizes families and communities, increases racial profiling, wastes precious city dollars, and decreases public safety. We call for Mayor Nutter to pass an executive order ending compliance with all ICE holds, regardless of immigration status, economic status, country of origin, marital status, gender identity and history with the criminal legal system. Community organizations must be engaged in the creation of a new ICE hold policy. We also celebrate Philadelphia City Council’s March 3 public hearing on the collaboration between the Philadelphia Police Department and ICE. This is a critical first step to ending local deportation programs. This press conference is supported by a diverse group of grassroots organizations, advocates, faith based groups, and City Council members working for justice for all Philadelphia residents regardless of immigration status.